Categories: anxiety, diet | Tags: antioxidants, anxiety, beans, berries, cashews, depression, diet, eggs, fish, magnesium, nuts, Omega-3, probiotics, serotonin, spices, vegetables, vitamins, whole grains, zinc | Permalink. 1. Fish: This nutrient powerhouse boasts high-quality protein, important minerals, including iron and zinc, and heart- and brain-healthy omega-3 fatty acids. Studies show these powerful fats help reduce inflammation, increase blood flow to the brain and build new brain cells. 2. Olive oil: Thanks to a healthy dose of monounsaturated fats, olive oil is a simple and tasty way to boost brain cell activity and slow down an aging brain. A bonus: monounsaturated fats also help reduce plaque buildup on the inside of the arteries, ensuring your brain gets the blood it needs to perform at its best. 3. Nuts: Like olive oil, nuts are rich in monounsaturated fats, but they also contain vitamin E, a powerful antioxidant linked to improved brainpower. 4. Berries: An anti-aging superstar, berries are loaded with disease-fighting compounds that improve brain function. Blueberries in particular seem to slow down the memory loss that goes with aging. 5. Leafy green veggies: Research shows people who load up on produce, especially those with deep, rich colors, have better focus and mental sharpness compared to those who skimp on fruits and vegetables. 6. Wine: Don’t drink? There’s no reason to start. But if you enjoy an occasional glass of wine, go for red—it packs greater brain benefits than white. Just be sure to resist a refill. People become more susceptible to the toxic effects of alcohol with age. 7. Beans: Loaded with fiber and protein, beans provide sustained energy and keep blood-sugar levels on an even keel. That not only keeps hunger pangs at bay, but improves mental focus, too. Patricia Jurek, RD, MBA, is the manager for Henry Ford Macomb Hospital’s Center for Weight Management. Passionate about preventive disease management, Pat became a registered dietician to help people live long, healthy lives. For more tips on healthy eating and more, visit our health and wellness blog at henryfordlivewell.com and subscribe to receive a weekly email with our latest posts. Categories: Alzheimer's disease, brain, diet | Tags: Alzheimer's disease, beans, berries, brain, diet, fish, nuts, olive oil, wine | Permalink. Depression and anxiety can by caused by many things ranging from genetics to lifestyle choices. Although we can’t always cure depression on our own, we can make little changes in our lives to help fight it. One of the ways we can fight depression and anxiety is by eating foods that are good for our bodies and our minds. If you’re looking to improve your mood quickly, grab a healthy, high fiber carbohydrate like whole wheat bread, muffins or pasta. Carbohydrates promote serotonin production; serotonin is the “feel-good” hormone that improves your mood and relaxes your brain and body. Not only that, but whole grains also help maintain a steady blood sugar level, which keeps you from dropping into that terrible “hungry” feeling. Although milk chocolate might actually contribute to depression, dark chocolate can aid in your fight against it, as long as you eat it in moderation, of course. The reason it can help fight depression? It’s large amount of antioxidants, as well as it’s ability to boost endorphins and serotonin. These tasty, delicious little fruits are packed with antioxidants and vitamins! Blueberries, blackberries, strawberries and raspberries should be incorporated into your diet as much as possible because not only do antioxidants boost your immune system and prevent cancer, but they can play a huge role in your fight against depression, too. You can throw them on your cereal, in your yogurt or smoothies, or enjoy them all on their own! Like most nuts, walnuts are an excellent source of protein, fiber, antioxidants, vitamins and minerals. What makes walnuts really stand out though, is the omega-3 fatty acids they also contain. In fact, walnuts are one of the richest plant-based sources of omega-3s, which can help lower depression and support overall brain health. So, the next time you’re feeling blue or anxious, grab a bag of walnuts to munch on. Speaking of omega-3s, fatty fish like salmon are also great sources of this fatty acid.Not only is fish great for boosting your brain health and fighting depression, but they are excellent for your overall health, too. Eating fish regularly can help improve circulation and reduce inflammation. The American Heart Association recommends eating two servings of salmon, or other fatty fish, a week. Munching on seeds to cure your crunchy cravings can help you cut down on calories. It can also help you fight depression! Flax seeds, chia seeds and hemp seeds are full of omega-3s, which we already know is great for our brains! Pumpkin seeds are also great for fighting depression because they are packed with l-tryptophan, an amino acid that is a precursor to melatonin, which we need for sleep. Pumpkin seeds also help increase serotonin levels. We all know that beans are absolutely amazing for your overall health because they’re high in protein, iron, folate, carbohydrates and fiber, but low in cholesterol. So we all know beans are good for our heart, but did you know they’re also good for you mind, too? Beans have selenium in them, which can help lift your mood whenever you’re feeling low. Eat them mixed with rice, in a burrito or in a bean salad. This super food (and super delicious fruit) is an edible all-star because it contains tryptophan, folate and more of those brain-healthy omega-3s! However, even though it’s amazing for your health, it’s still high in fat and should be consumed moderately. To take advantage of it’s creamy tastiness, eat it thinly sliced on top of sandwiches and burgers, or in your salad. Mushrooms are good for your mental health and here’s why: they help lower blood sugar levels, evening out your mood, and they promote healthy gut bacteria, and the gut is where 80 to 90 per cent of our body’s serotonin is manufactured. Mushrooms can be eaten a variety of ways and in a variety of dishes! Enjoy them raw in salads or throw them on your pizza, and fight depression and anxiety! Categories: anxiety, depression, diet | Tags: anxiety, avacado, beans, berries, chocolate, depression, diet, mushrooms, salmon, seeds, walnuts, whole grains | Permalink. Exhaustion isn’t a good look on anyone, but it’s all too easy to burn the candle at both ends in the always-connected world we live in. And when that energy slump hits, you need help. But that doesn’t mean downing a dozen cups of coffee or reaching into the candy bowl. With all its protein, fiber, and iron, quinoa is the perfect thing to reach for when you’re looking to recharge. And if you need an on-the-go upper, whip up these quinoa muffin bites and grab ‘em before hitting the road. By now, it’s no secret that green tea has a slew of health benefits. You can add putting some pep back in your step to the long list. The combination of caffeine and L-theanine give you energy without the jitters. Bonus: Research suggests that green tea boosts brainpower as well, which may come in handy when you’re down to the wire at work. Take the time to brew the tea yourself because store-bought varieties often have lots of added sugar. Your body needs carbs for energy, but not all carbs are created equal. Whole-wheat bread is great for a long-lasting energy kick. It’s is a complex carb, meaning it raises your blood sugar gradually instead of hiking it up at turbo-speed. It’s a cruel fact of life that the most accessible, easy-to-grab, and oh-so delicious foods wreck havoc on energy levels. Research has found that diets high in processed food tend to lead to weight gain and a more sedentary lifestyle. Talk about a lose-lose situation. Categories: energy | Tags: almonds, bananas, beans, chia, diet, energy, exhaustion, fatigue, green tea, oatmeal, quinoa, water, whole grains | Permalink. (CNN)A typical visit to the doctor might leave you with a bottle of pills and instructions to take them twice daily. But a small, growing number of physicians are “prescribing” foods not only for weight management, but also to prevent and treat chronic diseases. CNN spoke with medical nutrition experts to unearth the specific foods they recommend. And you don’t have to be a chef or nutritionist to take advantage of these healthy choices. While one food might be recommended as treatment for a specific ailment, it’s important to remember that a single food item doesn’t work in isolation, said Dr. Melina Jampolis, a board-certified physician nutrition specialist. “True nutrition experts prefer to speak about dietary patterns or groups of foods, as nutrients in foods work in combination to improve certain conditions,” Jampolis said. Derived from the bee nectar of flowers of the buckwheat grain, buckwheat honey might eventually make its way into every parent’s medicine cabinet. “Buckwheat honey is better than cough syrup for nocturnal cough in kids,” according to La Puma. This is an especially useful food-as-medicine for children under 6 but older than age 1, who are ill-advised to take over-the-counter cough medicines. “Foods can work like medicine in the body — and they do,” said La Puma. These bacteria-filled foods can be used to prevent and treat antibiotic-associated diarrhea, irritable bowel syndrome, infantile diarrhea, eczema and allergies, according to Mullin. “But the hottest use of fermented foods is to burn stubborn fat,” Mullin said. Ginger is a pungent spice originating from Southeast Asia. “As a digestive disease specialist I frequently recommend the spice ginger in the form of tea for nausea and abdominal discomfort,” said Mullin. Ginger could also be a helpful food-as-medicine for women. “Ginger probably works as well as ibuprofen for menstrual cramps. It works taken as a ginger capsule or chewed,” said La Puma. 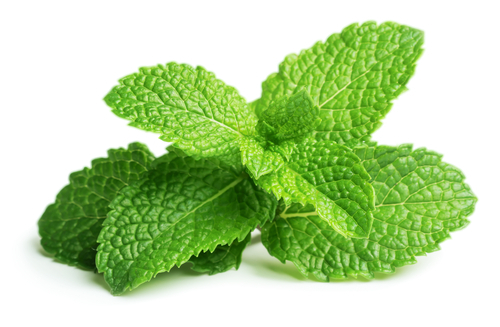 “What I find interesting about peppermint is that when compared to the various medical therapies for IBS, peppermint is the most effective and the least toxic,” Mullin told CNN. Peppermint oil is effective — and could be the first line of treatment — against irritable bowel syndrome, according to a 2005 scientific review of 16 clinical trials. 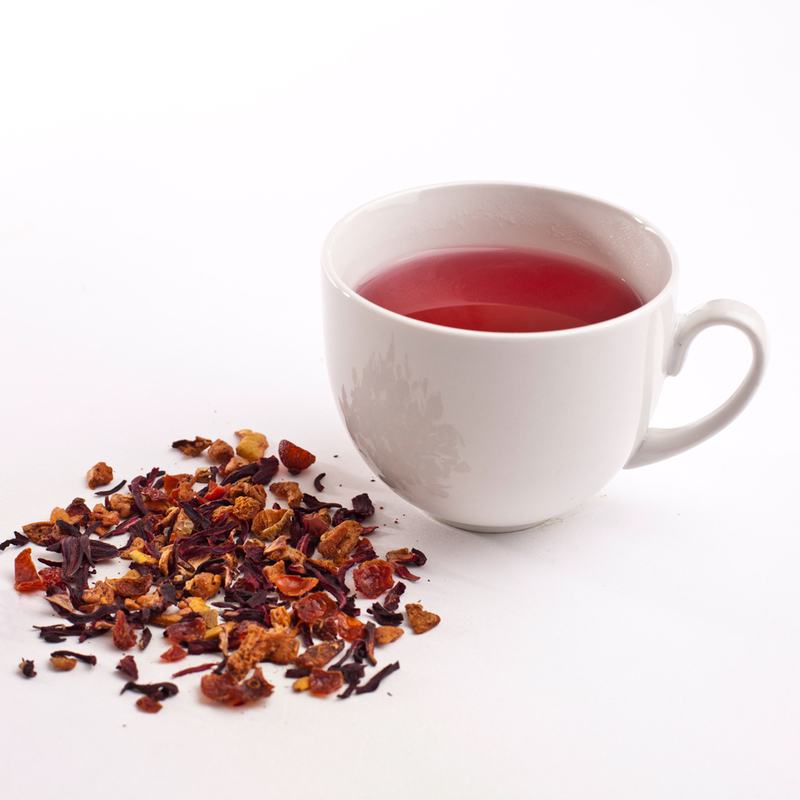 “Hibiscus tea has a greater anti-hypertensive effect than blueberries,” said La Puma. Infused as an herbal tea, hibiscus flowers contain anthocyanins, which could help to lower blood pressure. “Turmeric is used especially for brain-related conditions and to decrease the risk of Alzheimer’s disease. It can be also be used for arthritis,” said Jampolis. Add black pepper to turmeric to maximize the disease-fighting benefits. “This helps your body absorb more of the curcumin, which is the active ingredient in turmeric that delivers the positive health effects,” said La Puma. Dr. Jampolis said she recommends them to patients with high LDL cholesterol as a bonus to other healthy food choices. “I can actually say that I’ve seen great results just adding chia seeds to an already healthy diet for lowering cholesterol,” said Jampolis. Beans are useful in lowering blood sugar levels and managing high cholesterol, according to Jampolis. And because they’re loaded with fiber, beans can help induce that “full” feeling to help with weight loss. “I have certainly seen improvements in blood sugar with encouraging more fiber-rich foods like beans that are also rich in magnesium, but it is harder to isolate that effect alone,” said Jampolis. “I think most people think food can’t possibly be as potent as drugs, but I see the powerful direct benefits all the time,” said Jampolis. Categories: diet | Tags: bacteria, beans, chia, cholesterol, diet, ginger, honey, inflammation, oatmeal, peppermint, salmon, tea, turmeric | Permalink. “Buckwheat honey is better than cough syrup for nocturnal cough in kids,” according to La Puma. This is an especially useful food-as-medicine for children under 6, who are ill-advised to take over-the-counter cough medicines. Categories: diet, Uncategorized | Tags: arthritis, beans, blood pressure, buckwheat, chia, cholesterol, diet, fermented, ginger, hibiscus, honey, IBS, inflammation, menstrual cramps, oats, peppermint, pickles, salmon, sauerkraut, tea, turmeric | Permalink.